A few weeks ago, I posted pictures of some cotton modules in a field. 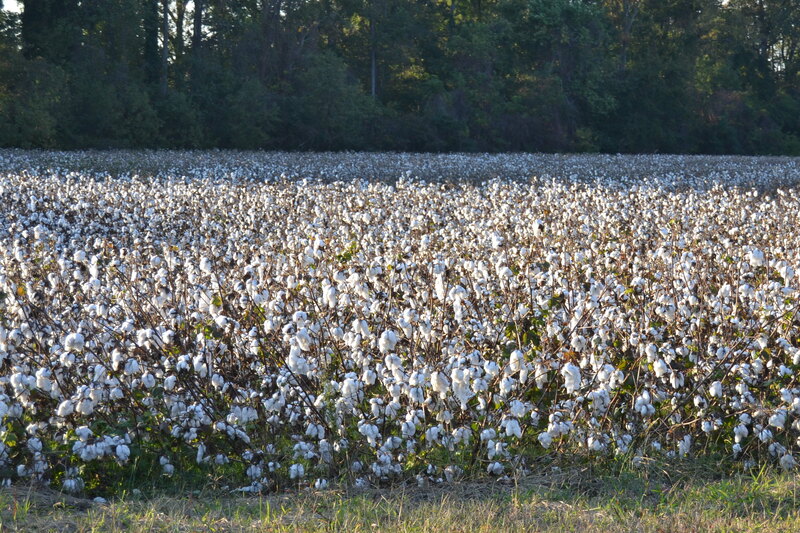 Many of my readers commented that they weren’t familiar with the modules, or with cotton fields. 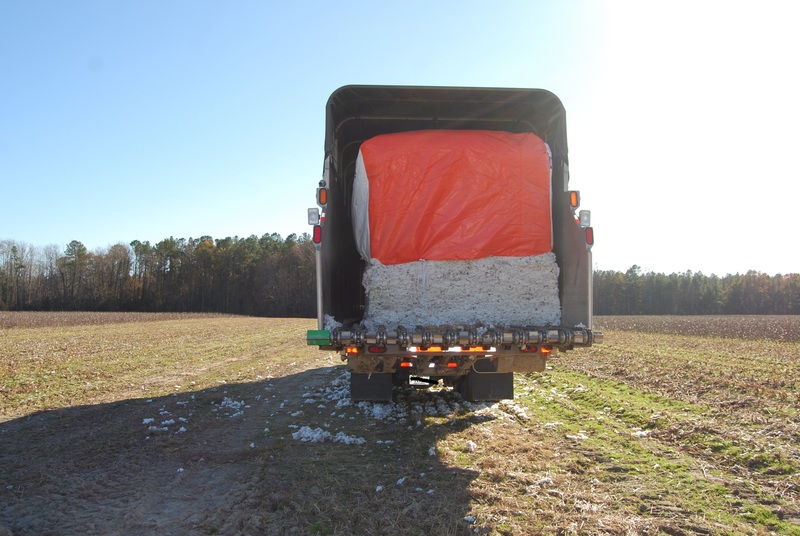 So today, I’m sharing pictures and information about how the cotton crop is harvested. This is a cotton field ready for harvesting. The leaves have fallen from the plants after being sprayed a few weeks ago with a defoliant. I can’t really describe the smell, but once you’ve smelled it, you never forget it. And your nose will always let you know when a nearby field has been sprayed. The machine used to pick the cotton is known as (surprise!) a cotton picker. This particular one is a four-row picker; it picks four rows of cotton at a time. 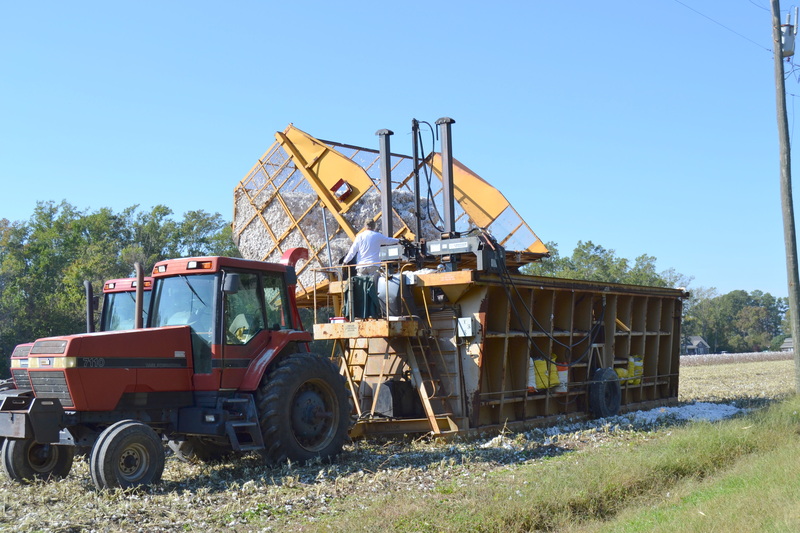 Although some farmers empty the cotton from the picker directly into the module builder, others use a boll buggy. 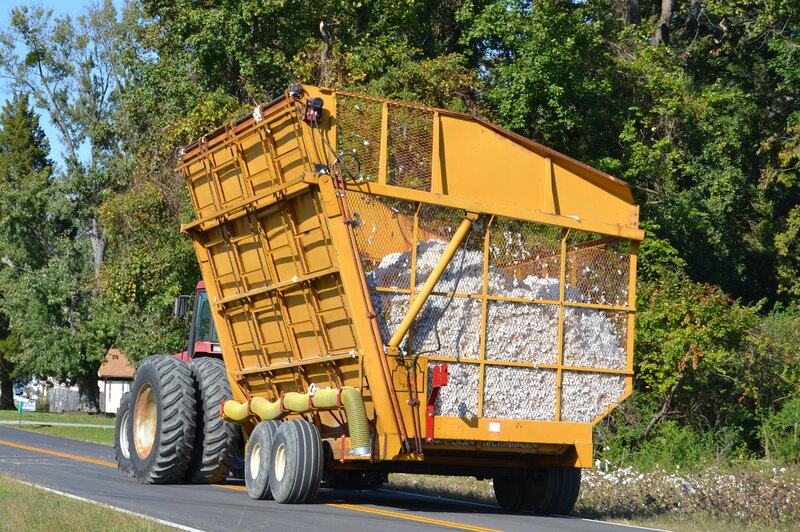 While still in the field, the farmer empties the cotton from the cotton picker into this “buggy”. 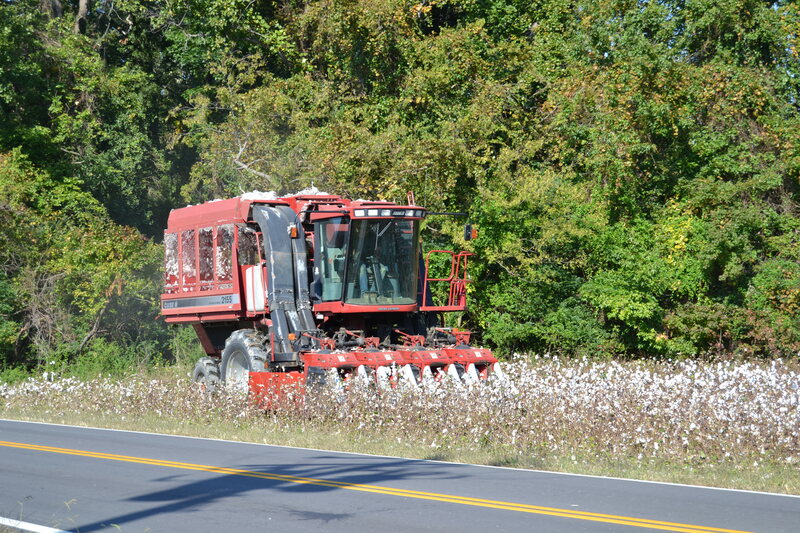 The farmer can then continue picking cotton, while the boll buggy is taken to the module builder, which might be in the same field or a nearby one. The load of cotton in the buggy is dumped into the module builder. 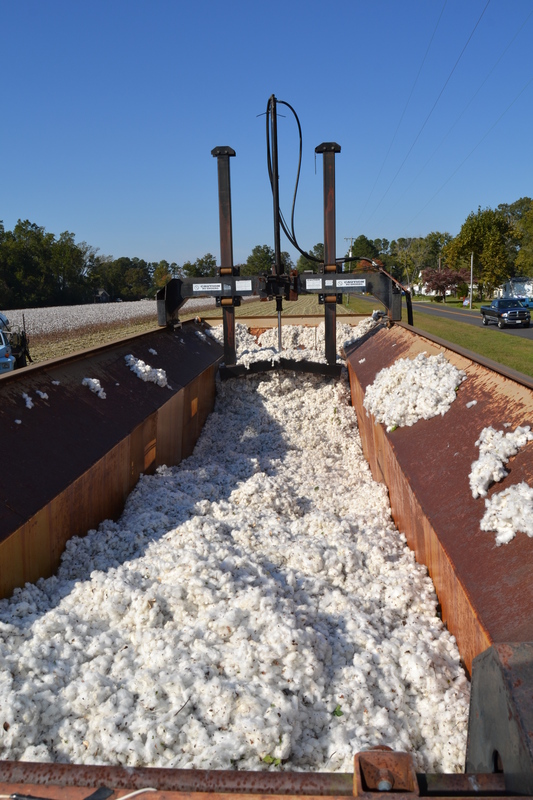 After the cotton has been emptied into the module builder, a worker uses the hydraulic mechanism to tamp down the cotton and spread it evenly. 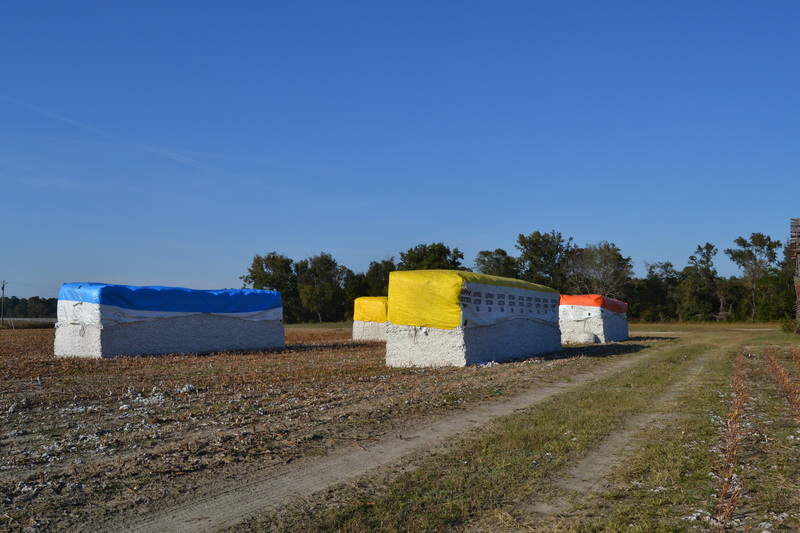 Once the cotton module is complete, a tarp is placed over it to protect it from the weather. The farmer calls the cotton gin to make an appointment to have the modules picked up and taken to the gin. Specially designed trucks transport the modules. The driver tilts the back of the truck downward and backs up toward the module. 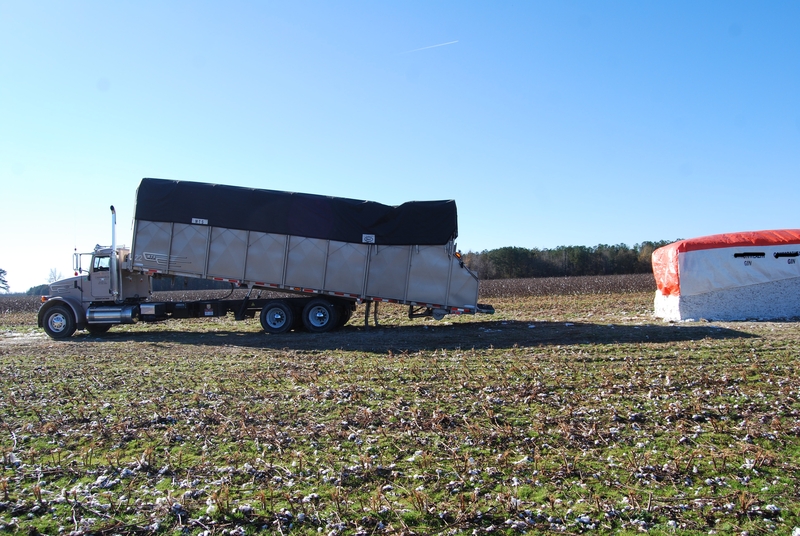 The rollers on the bottom of the truck bed move under the cotton module and help load it into the truck. The module is loaded on the truck in just a few minutes and is on its way to the gin. 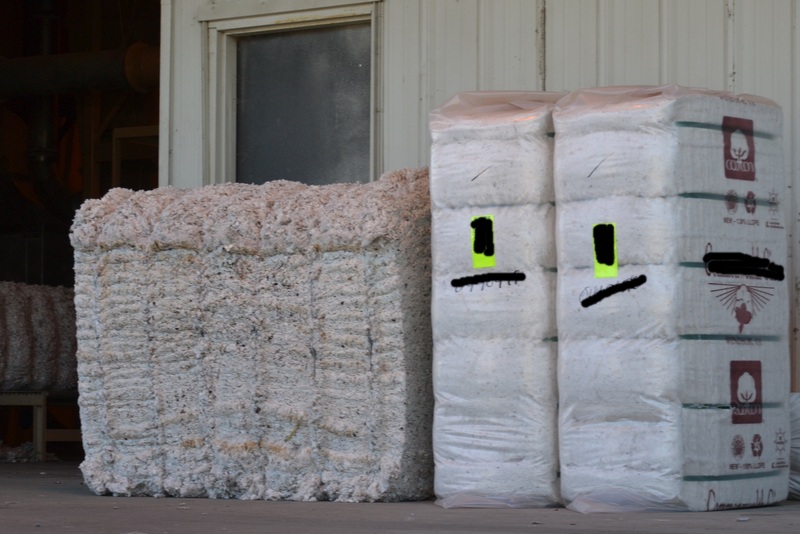 There, the cotton is processed, seeds and debris removed, and the cotton is baled. At that point, it’s ready for the market. 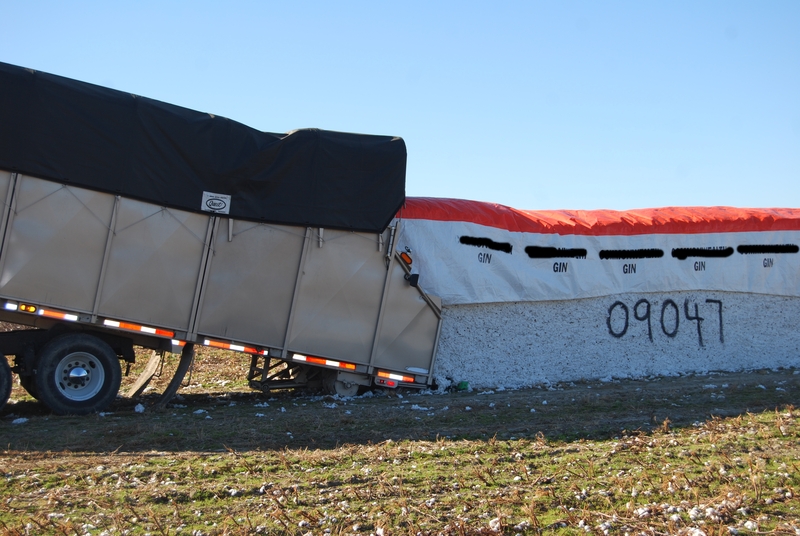 And that’s the whole cotton-pickin’ story.